We can all be thankful that our homes sustained so little damage in yesterdays scary sequence of shakes, and we can partly thank the earthquake of 1848 for that. My own great great great grandmother, Harriot Riddiford, lived through that quake, and the subsequent even more powerful 1855 quake which lifted up the land around Pencarrow Station several metres. 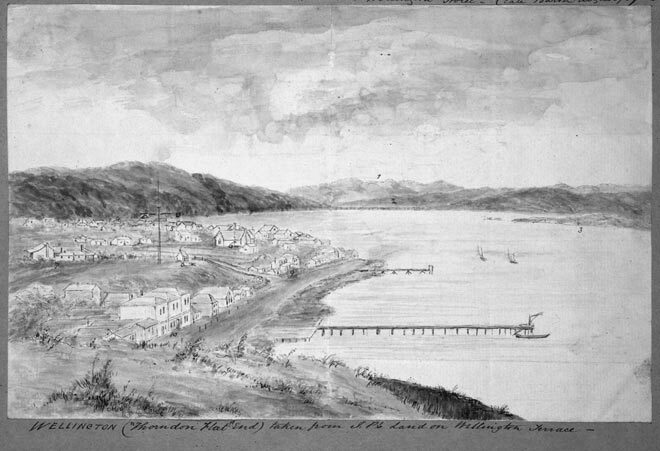 Alone at the time apart from the farm hands, and with several young children (she and Daniel Riddiford eventually had 11 children), she was severely traumatised, and the family eventually moved to resettle in Lower Hutt. The people of Wellington noticed that the wooden buildings of the time came through the quake relatively unscathed, while brick buildings just tumbled down. Hence houses, shops and even public buildings from that time were mostly built in wood. It’s no co-incidence that we have in Wellington the largest wooden building in the Southern Hemisphere ( the old Government buildings, now part of Victoria University). They may not have had such a thing as an earthquake code back then, but the people of the day were no fools. They realised the dangers and they built to last.